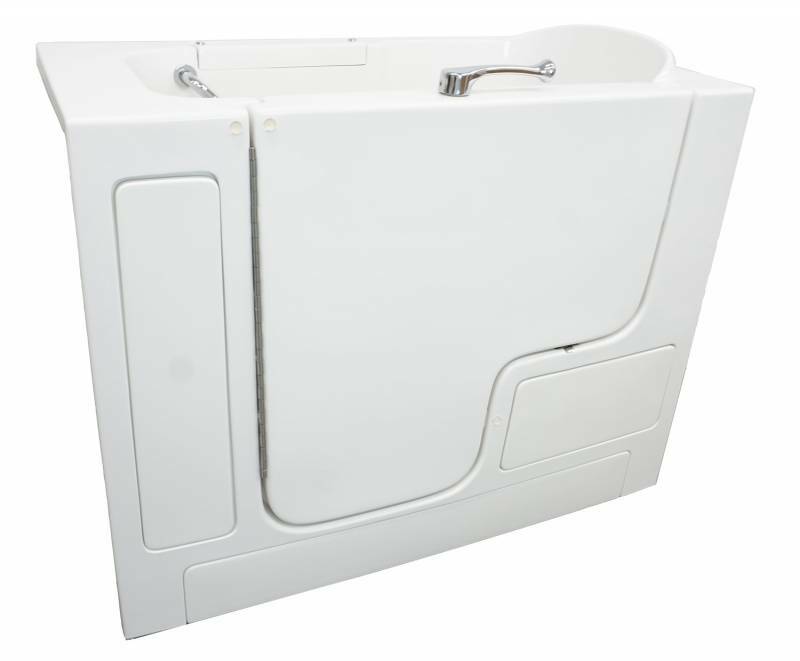 Bliss Tubs’ Model B2852HC Wheelchair Accessible Walk-in Tub is designed for those who use a wheelchair and need to access the seat from outside the tub. 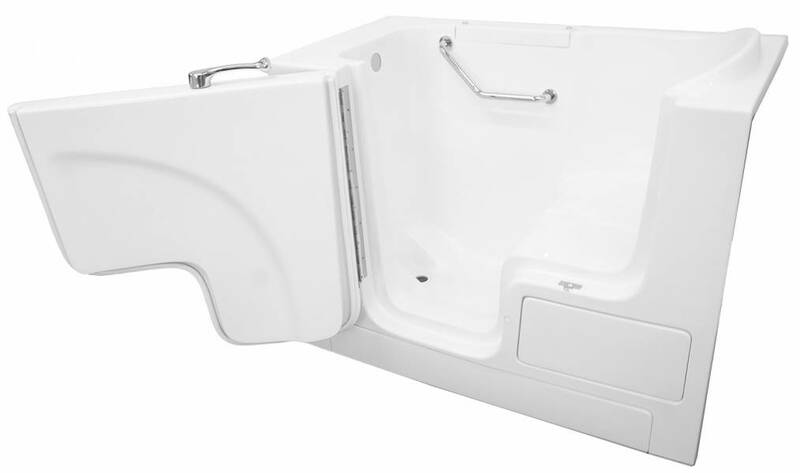 Bathers enjoy easy entry with our 30-inch wide outward-swinging door and easily-accessible 18-inch entryway. This slide-in tub allows the bather to sit on the seat while outside of the tub and, using the integrated in-tub grab bar for stability, swing their legs gently into the tub. The outward-swinging locking door is available as either right of left hinged and has a compressible door seal to ensure it’s water tightness. This model comes with an 8-inch wide extension kit that can fill in a 60-inch space or be cut to tailor the fit to less than 60 inches.